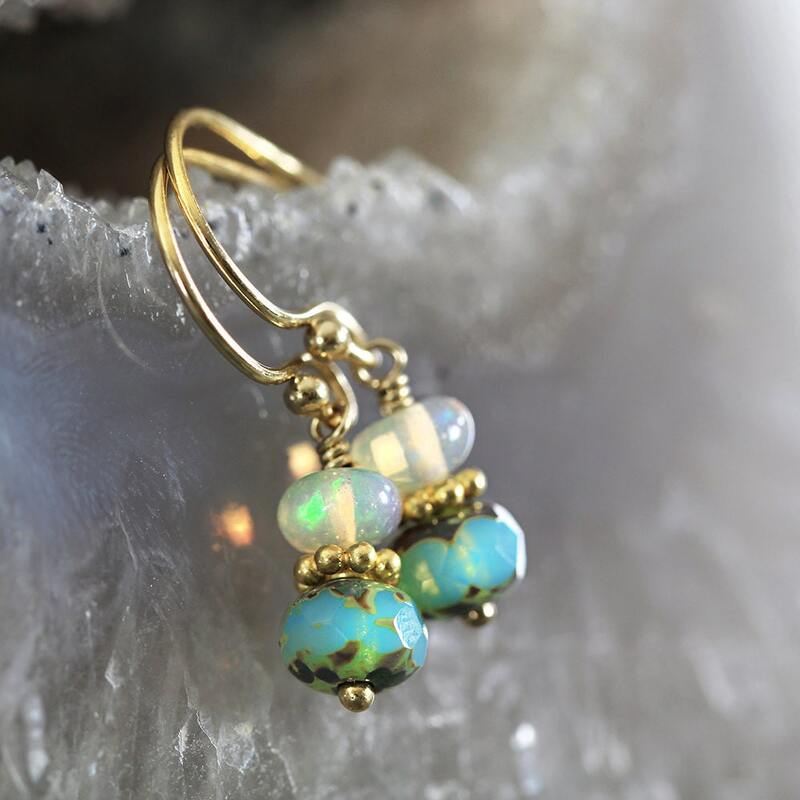 These handmade Ethiopian opal earrings are dainty yet exotic - they simply glow and will light you up with their fabulous opalescence. 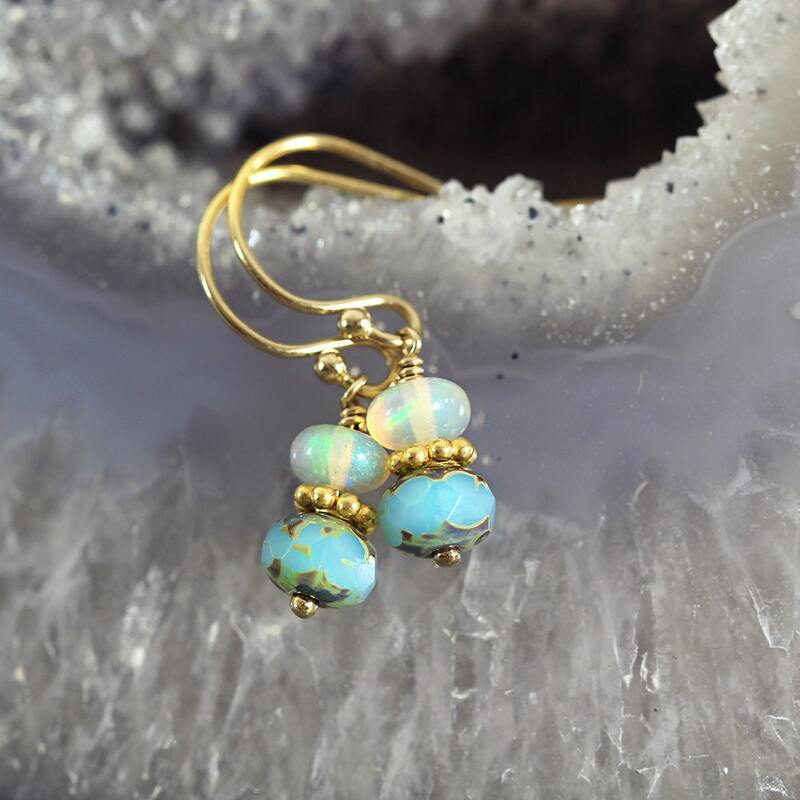 Featuring an exquisite Ethiopian 'Welo' opal sat above a gorgeous aqua glass bead, with a gold bead nestled between. These opals are the finest quality, flawless, AAA with superb inner fire - they catch the light with every movement and the rainbow of colours is quite mesmerizing. 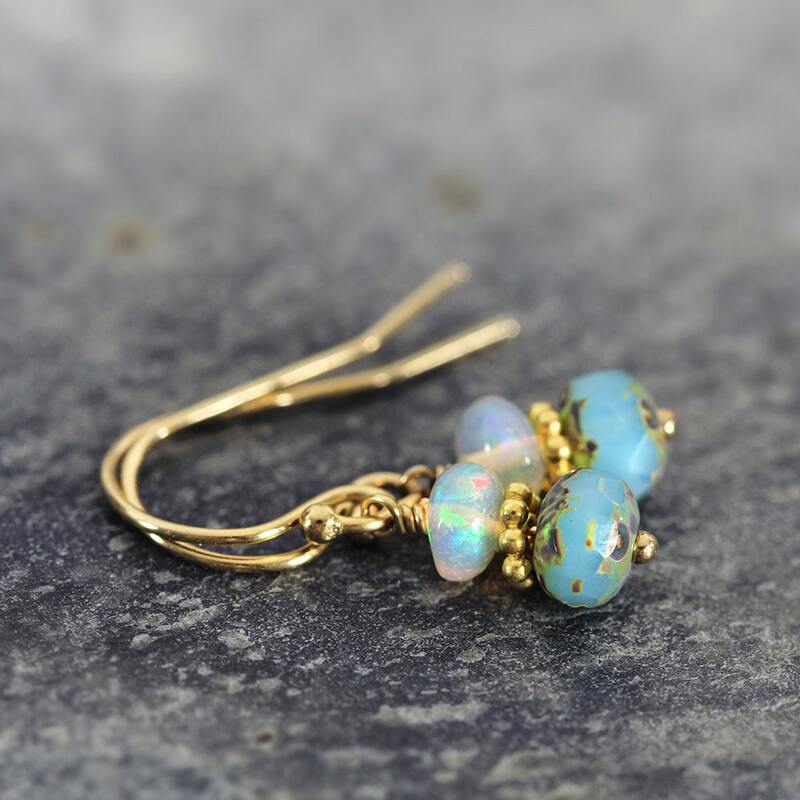 Very dainty, these iridescent drop earrings measure just 2.2cm from top to tail. Finished with matching 14k gold fill ear wires. These October birthstone earrings are so beautiful and make a gorgeous gift for a loved one - for your mum, sister, girlfriend, wife or friend - for any occasion such as a birthday, a graduation, an anniversary, Christmas or Valentines Day gift. 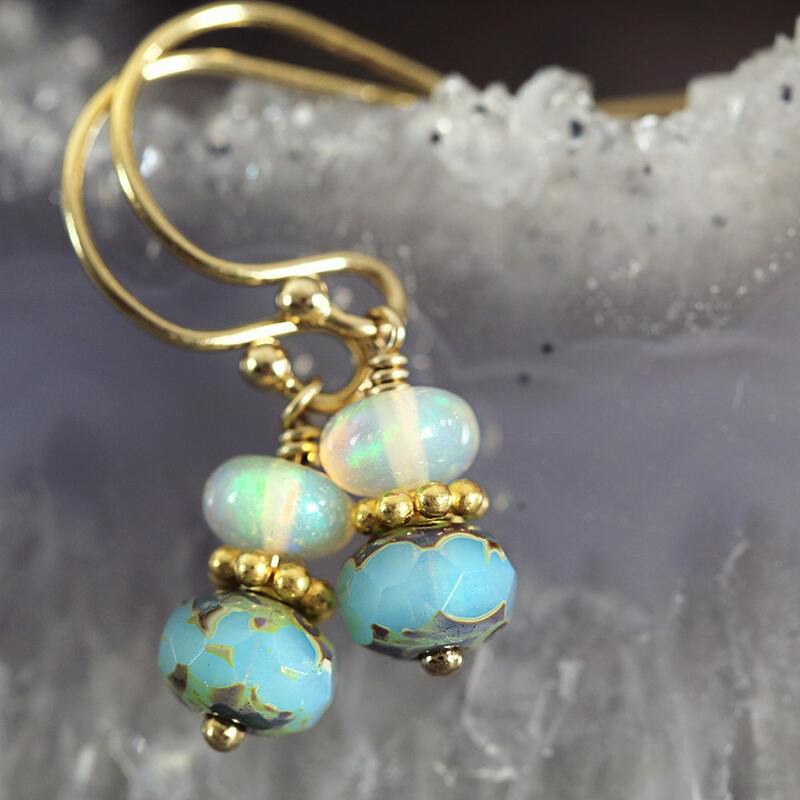 The opal is the birthstone for October, and is so incredibly pleasing to the eye - it inspires love, hope, luck and happiness. * Gemstone beads measure approx 4 / 5mm. * Total length from top of ear hook approx 2.2cm. 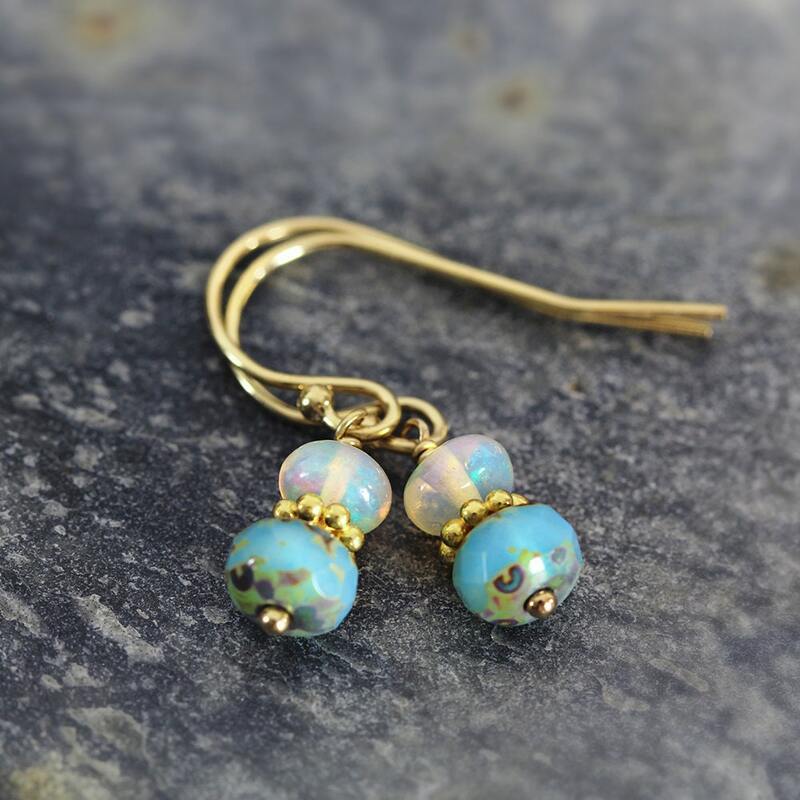 Gorgeous simple earrings! extremely happy with it!